Why Sell Your Silver To Us? Silver is on the rise and people who have been sitting on silver jewelry, coins, flatware or any other item can be sitting on a lot of money. 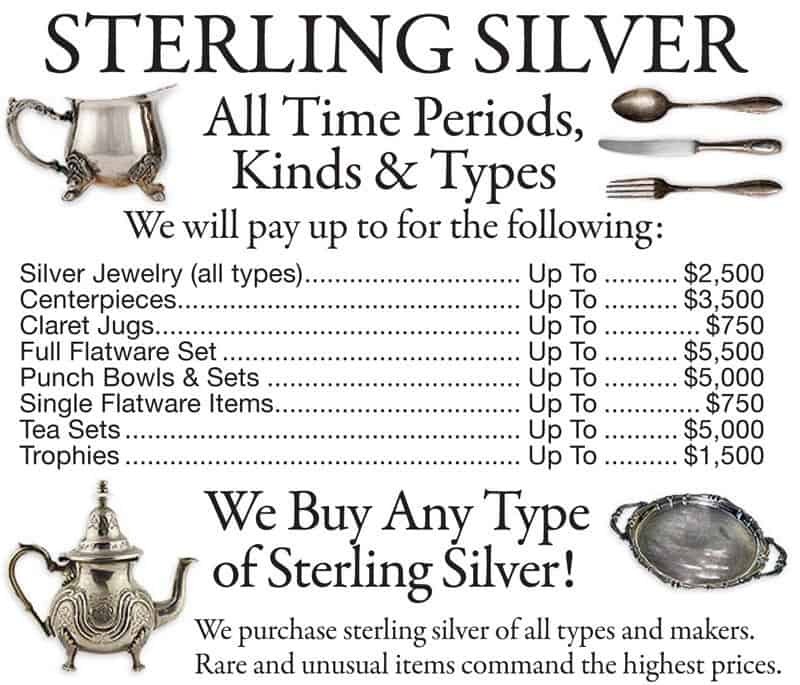 Silver Payouts are at a record high, so whether you have silver coins pre 1964 which are made up of 90% silver or some silver flatware that you don’t use anymore bring it on down to our silver buying location in NYC, or mail it in if you are outside of NYC. We are a silver refiner as well so we cut out the middleman and can pay you the most cash for your silver so before you sell it to someone else or get taking advantage of give us a call and we will give you a fair and honest quote on what we will pay for your silver items.